Renée Zellweger is back as everyone’s favorite witty heroine in Bridget Jones: The Edge of Reason. Not that Bridget’s counting, but it’s been six wonderful weeks, four fabulous days, and seven precious hours with one flawless boyfriend, Mark Darcy (Colin Firth). 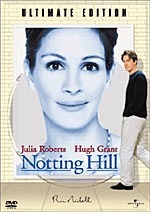 But when mischievous and devilishly charming Daniel Cleaver (Hugh Grant) arrives on the scene claiming to be a reformed man, can Bridget find a way to make true love last forever? It’s the “absolutely hilarious” (Jim Ferguson, ABC-TV) romantic comedy that proves there’s nothing like love to send you over the edge. $8.684 million on 530 screens. Bridget Jones: The Edge of Reason picks up about a month after the point where the original Bridget Jones’s Diary left off. Now that she’s completely over her fascination with Daniel Cleaver (Hugh Grant), Bridget (Renee Zellweger) and her boyfriend, big shot human rights lawyer Mark Darcy (Colin Firth), are enjoying their blooming relationship as much as any couple ever has. They laugh a lot, talk a lot, shag a lot, type corny text messages to each other a lot (Mark is the least busy human rights lawyer ever), and judging by Bridget, eat lots and lots of pizza. It’s the only explanation for her gain of twenty extra pounds in the four week span since we last saw them. Things seem to be going quite swimmingly, as Mark is completely endeared by Bridget’s frequent social awkwardness, not to mention her wobbly bits, all qualities Bridget feels other men would simply despise. When Bridget’s passel of friends manage to convince her that Mark is cheating on her with his lovely paralegal, Bridget goes through the telegraphed rigmarole to find out the truth. At Mark’s flat, she sees that the woman in question is actually there! Could this wonderful man be cheating on her? We’ve come to the first dry well of Reason’s comedic landscape. There’s nothing original or even close to funny here; she slides face first down his glass atrium, she trudges through the bushes, then barges in on his big meeting with very important colleagues to accuse him. How does he react? He romantically wants to shag her, right then and there. As we all know, nothing makes a man hornier than a neurotic, distrustful woman embarrassing him in front of his biggest clients. In her capacity as a television news program reporter, she encounters one of her former flames, none other than Daniel Cleaver. He was a cad when she first knew him, and he’s a cad now, but he’s ratcheting up his philanderer’s charm. In this episode, Bridget will be thrown together with the antithesis of the man she loves. She’ll be paired with him on his popular travelogue segment, “The Smooth Guide.” Their destination is exotic Thailand, where, as you expected, Bridget will be faced with the decision whether to sleep with Daniel and choose her past, or hope for Mark’s forgiveness and work toward their future. It’s a chick flick…what are the chances she chooses the jerk over the knight in shining armor? I’ve mentioned it in my reviews before, but it’s worth saying again: few cinematic experiences are as tedious as a bad comedy. On every level, that’s what Bridget Jones: The Edge of Reason is. 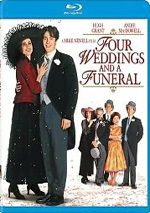 Where the jokes and gags in the original were genuinely funny and even intelligent, the sequel’s are telegraphed and devoid of the wit that made the first film so charming. Bridget’s fantasies in the original came across as touching and sincere, but here they’re reduced to simple blasé sight gags. When a comedy is this bad, the 100 minutes feel like Godfather III. Another big problem for Bridget Jones: Edge of Reason is in its structure. Instead of a cohesive narrative, the overly episodic nature of the script leaves the movie feeling completely disjointed and inherently annoying. Every fifteen minutes, we see Bridget put into some other goofy situation, only to be resolved and move on to the next one. Want some fish-out-of-water, upstairs/downstairs type of comedy? Then the “Lawyer Party” is right for you. Ten minutes later, we’re at a Swiss ski resort, where Bridget is trying to explain through charades that she needs a pregnancy test. The joke? She doesn’t speak German or French! Oh, the side splitting humor. Sight gags your thing? How about Bridget on a cheesy drug induced freak-out! Maybe it’s edgy comedy you’re after. While in Thailand, we’ll just have Bridget face the horrors of the Thai prison system! If there’s any comedic gold mine that has gone untapped, I sincerely believe it has to be the hilarious scene of third world prison systems. In real life, the women in these prisons face malnutrition and probably beatings as they scratch and claw for survival. In Bridget Jones: The Edge of Reason, she’ll conquer problems like their inability to pronounce Madonna songs correctly, and their terrifying lack of choreography and brassieres. What becomes of her cell mates when she’s inevitably rescued? Who cares! Bridget’s life is fine. Seriously, I can’t believe someone thought this would be funny. It’s not all bad, though, as the movie’s lone redeeming quality is an unlikely source. I already knew that Colin Firth was one of the best comedic actors of the last five years, so his performance, while appearing a little bored, is expectedly solid. No, the unlikely savior is none other than Hugh Grant. Though I’m normally a staunch anti-Grant person, I have to say that even in his limited screen time, he pretty much steals the show. Grant plays the perfect charming cad, giving the audience a reason to believe women would fall for his act in spite of his philandering ways. Zellweger, Oscar-nominated for her masterful (save the accent) turn in the original, has a little trouble infusing Bridget with the same charm. That’s no fault of hers, though, as the character is written differently, and seems almost mentally challenged rather than just awkward. The most perplexing question that Bridget Jones: The Edge of Reason raises is why exactly Mark, a highly successful and attractive lawyer, Cleaver, an attractive, highly successful television personality, AND a beautiful lipstick lesbian would all want to be with Bridget. One I’ll buy, but not all three. It wouldn’t be a big deal if it weren’t a major driving factor in the story. The bottom line on Bridget Jones: The Edge of Reason is that it’s simply one of the most shameless and superfluous sequels in recent cinematic history, and perhaps the only one that’s a sequel to a chick flick. It’s just plain not funny, and watching it plod through its 100 minutes is like watching an elephant die. 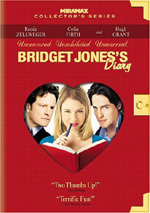 Bridget Jones: The Edge of Reason appears in an aspect ratio of 2.35:1 on this single-sided, double-layered DVD and has been anamorphically enhanced for 16X9 televisions. This is yet another case of a DVD looking “acceptable” based on the expectations generated by its subject matter. The best thing we can say about Bridget Jones: Edge of Reason is that the colors, from the expectedly natural palette, are well rendered, part of an overall decent picture. The only really noticeable problem comes from a somewhat disappointing lack of black depth and detail. It’s particularly notable during the goofy breakup sequence in the first act of the film, as Bridget and Mark walk down the Thames after the lawyer’s dinner. Sharpness and fine background details are pretty well executed, really creating a nice image in the busy streets of Thailand. Though a nice presentation, Bridget Jones: Edge of Reason is certainly not devoid of problems, but the extent of those problems are proportionally related to the size of the display the film is viewed on. The edge enhancements, pretty noticeable on a 65” television, almost disappear when we watch on a display under 40”. The level of granularity, apparent on our main television, also appeared looked far more acceptable on the smaller television. I didn’t detect any digital problems, such as artifacting or pixelating, on either monitor. All in all, this looks decent, and the film’s target audience isn’t likely to take issue with the minor problems. Speaking of the target audience, it’s even less likely that they’ll take issue with one of the laziest Dolby Digital 5.1 tracks in recent memory. Any sort of directionality is limited basically to lateral effects in the front stage, as I didn’t hear a single instance of rear surround usage throughout the feature. Once in a while, Edge of Reason sees fit to throw in the odd car passing or dialogue directionality, but for the most part, everything just sort of lies there dead, with the characters sitting in the center speaker. The film’s soundtrack, one of its many annoying characteristics, and easily its most ubiquitous, seems to feature 84 different cliché songs. These use up the side speakers with decent separation levels. Clarity is expectedly good, but with a total lack of any audio dynamics, it’s impossible to give it a good grade. Even compared to its predecessor, by no means a 5.1 mix virtuoso, this track is far too stagnant. This would have been better supported - and likely had a fuller sound - had it been a simple 2.0. The disc tries to make up for less than exemplary technical marks by putting together a pretty respectable package of bonus materials, yet the disc couldn’t resist the need to ratchet up the ”cutesy” gimmickry even here. The features are divided into headings, literally, as one can select Bridget, Mark, or Daniel. Under the star’s visage we find the main player on the disc, a feature length director’s commentary by Beeban Kidron. Movies like this one don’t really lend themselves to in-depth artistic discussion of the film’s thematic elements. Instead, their commentary tracks usually feature some interesting off-camera anecdotes and production stories, sort of humanizing the whole mysterious process of movie making, and that’s fine, it’s entertaining. Unfortunately, Ms. Kidron has it backwards. I’m not really interested in her interpretation of the themes in the film, of how she gleaned them from the book and applied them to the screen, or how great she thinks everything is. This is one of those tracks that really needed a second voice for Kidron to interact with, instead of leaving her self-impression completely unchecked. Speaking of Kidron, she’s also on board to introduce five deleted scenes, including the film’s alternate opening. None of these scenes really belongs in the film, as Kidron acknowledges. There’s nothing shocking here, but at least they’re included. Wrapping up the “Bridget” section of extra material is a brief piece called Mini Break to Austria, which is basically a five minute view of how much fun it was to film the ski weekend. In hopes that I’d find more interesting extras under the most interesting character, I moved on to Daniel’s face and found a featurette, Smooth Guide to Thailand. Much like its vapid predecessor, this one basically talks about filming in a beautiful and exotic location. I didn’t expect to get anything of value out of this featurette, and I got even less. In fact, the only thing I found was my own assertion that if I were a producer of this film, and saw these featurettes and compared them to the box office take, I’d be pretty pissed. Apparently, I’d have paid for the crew to go on two expensive vacations rather than make a decent movie. It’s also under this heading that we find The Big Fight featurette, three minutes of interviews with Firth, Cleaver and Kidron about the fight at the museum and gardens. The two men take playful verbal jabs at each other and talk about how they stylized the film’s fight sequence. Ironically, Kidron mentions how it had to be “bigger and better” than the fight in the original movie, and that she doesn’t want it to seem like it’s there just for the sake of having a fight. Oh-fer-two, Ms. Kidron. The only other feature in this section is the completely effeminate Ideal Man Quiz, which is basically a Cosmo-style multiple choice quiz to show you if you’re a ‘Daniel’ or a ‘Mark’ type of girl. Turns out I’m neither, thank God. Over to the Daniel section of the bonus material, we get what’s probably the most interesting extra in the package: Bridget Jones Interviews Colin Firth. This is Zellweger in character with Firth out of it, as apparently somewhere in the second book, Ms. Jones interviews the actor. Obviously, it couldn’t be included in the movie, but as usual, Firth is in top comedic form. Mark and Bridget Forever is a completely dull featurette that deals with the burning question: what becomes of Bridget and Mark? Guess we’ll find out in the third installment! Lonely London details the film’s horrible and completely useless CGI sequence, if any of the women watching it are interested. For its mainly female target audience the DVD release of Bridget Jones: The Edge of Reason is a perfectly satisfactory product. For a DVD collector, I suppose the bonus package redeems a little of the sub-par but relatively acceptable technical marks. For me, every DVD comes down to its film, and in that suit, Bridget Jones: The Edge of Reason is just too short. As such, I can’t recommend the disc to anyone, least of all fans of the first. They’re likely to be the most bitterly disappointed by this warmed over and witless tedium.